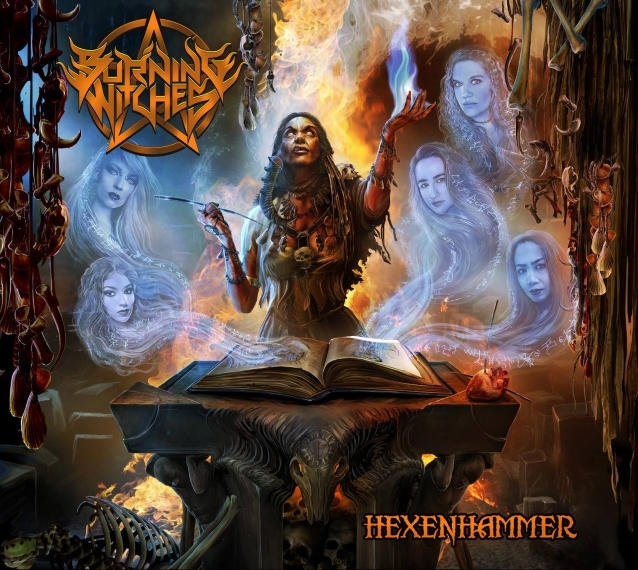 The official lyric video for "Open Your Mind", the latest single from the Swiss all-girl heavy metal outfit BURNING WITCHES, can be seen below. 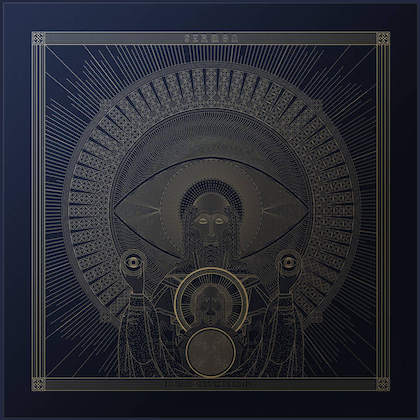 The song is taken from the band's second album, "Hexenhammer", which will be released on November 9 via Nuclear Blast Records. The disc was produced at the Little Creek Studio in Switzerland by the same team as its predecessor: V.O. Pulver (PRO-PAIN, DESTRUCTION, NERVOSA, PÄNZER) and DESTRUCTION frontman Schmier, who helped and advised as a close friend of the band. The band comments: "We are very proud to present our lyric video for the track 'Open Your Mind'. The song delivers a message for all of us: don't let fear and anger control your life. We all should stand together in this time, when racism is about to grow again. We should remember that we are all the same. Open your mind, open your heart, and try to remember how to cry." The cover artwork for "Hexenhammer" was created by acclaimed artist Gyula Havancsák from Hungary, who has also created artwork for DESTRUCTION, ANNIHLATOR, GRAVE DIGGER, STRATOVARIUS, TANKARD and many more. Gyula says: "It is not too easy to make a 'metal' cover when the main character and focus is an attractive woman. It is much easier to create gory images with monsters or devils for me. But I remembered that my first original casette was the WARLOCK 'Triumph And Agony' album, so I felt very motivated to incorporate both of those aspects: some black magic and some beautiful ladies. I got some instructions and a sketch from the band — so I painted the witch and the altar first as a main focus and everybody loved the character and the feeling of the image. When I added the ghost images of the girls, it all aligned into a dark magic artwork with beautiful ladies." Schmier previously stated about BURNING WITCHES: "Those ladies sound original, fresh and heavy! I love the classical heavy metal influence and the [Rob] Halford-inspired vocals! He continued: "The BURNING WITCHES will sure get their fans. 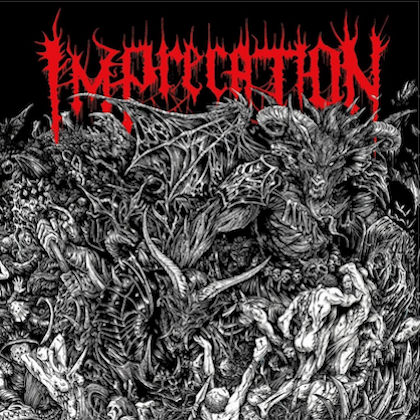 Their sound, in between classical [JUDAS] PRIEST and U.S. power metal like ICED EARTH, caught my attention right away." BURNING WITCHES was founded during spring 2015 in Brugg, Switzerland, by guitar player Romana Kalkuhl. It has always been her big dream to perform with a women's heavy metal band on stage. In 2015, Romana started to look for talented ladies for the new combo. Jeanine Grob (bass), a longtime friend, became the first official member. At a party at a festival, Romana met Seraina Telli (singer) for the first time. It clicked right away between the two girls, on a musical and on a personal level. Seraina brought in many ideas and a lot of experience because of her studies at the Music Academy and her band SURRILIUM. The guitarist and the singer became a great songwriting team right away. Romana wrote Schmier from DESTRUCTION about her new project, and the ladies brought him onboard as a producer/consultant. After an intensive search and different auditions, BURNING WITCHES found Lala Frischknecht the perfect drummer for the all-girl metal band. 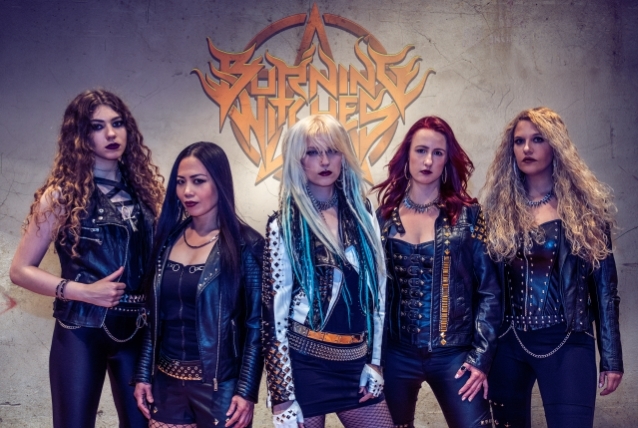 BURNING WITCHES' latest addition is guitarist Sonia Nusselder, who joined the band in January 2018.